On the 1st of June, the Startupbootcamp E-commerce program welcomes you at the Global E-commerce Summit (GES) for a FastTrack day as part of its international tour to support the area’s best talents in E-commerce. The 6 startups selected from all the applications will not only be invited to share their innovative ideas and get 1-on-1 mentor feedback, but also will have a chance to pitch at the summit 3PM! As a part of our partnership with the summit, we offer the 2 best pitchers an opportunity to present their startup in front of 850+ delegates at the Plenary room. The Global E-commerce Summit has proven to be the annual E-commerce event where industry leaders share their experiences and insights, and benefit from the excellent networking opportunities. If you’re a Spanish startup or can easily reach Barcelona to meet our team, we encourage you to apply now. 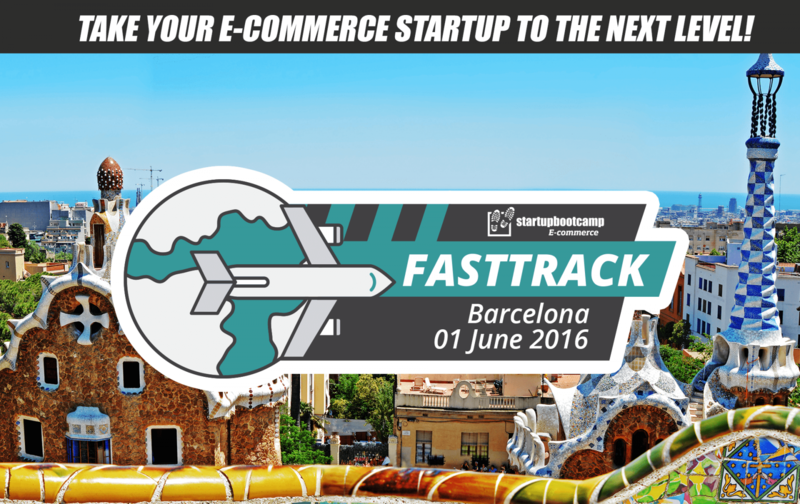 With only 6 spots available for the day, the earlier you apply the higher your chances are of attending the FastTrack and pitching at the Global E-commerce Summit! The experience is extremely valuable for everyone attending: teams learn from their personalized feedback as well as from feedback that other teams receive. As the event is informal, you will also have the chance to connect with the mentors and other participating teams from the local ecosystem. And of course, you have a great opportunity to win the best pitch and present your startup at a leading international conference – the Global E-commerce Summit in Barcelona.